: বই বের করতে চান? : তা, বইয়ের বিষয়বস্তু কি? We have recently got comment from our jurry board regarding your stories, given to us. Our jurry board is happy with your style of writing. 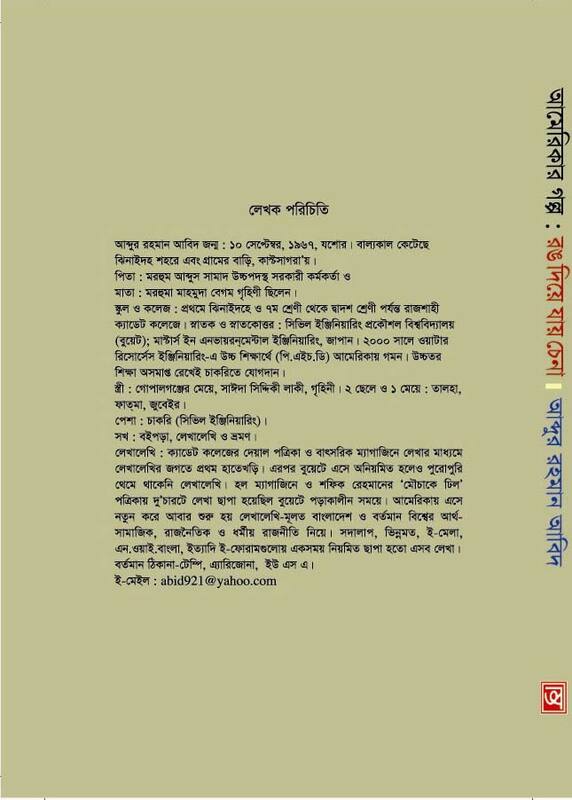 By this time we have communicated with your local representative/relative, he told me that, you have already made agreement with “Anupam” prokasoni, to publish this book from there. If that is true then we have nothing to say. Then what can u do, is that send the other brand new stories for us. If we can publish that in boi-mela 2010, we must contact with you shortly.